Get a pushbike, join a club, train hard, become World Champion. That's the dream for any aspiring cycle competitor, of course before you can get to the podium there are a few steps you need to consider first. Are you going to take place in timed events, individual or team TT's, or are you setting your sights on mass start events, single-day races, stages races and ultra marathon events? Let's look at each of them individually. This type of race forms the backbone of most competitive cycling. The events may be large loops single laps, or multi-lap events held on a smaller cyclical course. Races held over shorter courses, particularly in city centers, where there is a good crowd viewing access are generally referred to as Criteriums. In addition to crits there are also handicap races where riders set off individually with better riders being given a handicap against slower riders. Handicap races tend to in intra-club events where riders of different ages are pitted against each other directly. Probably the most popular type of cycle racing in the UK currently is the closed circuit crit. These take place on closed circuits, car race tracks, large go-cart tracks, purpose built cycle tracks and private airfields. For the novice cyclist and racer these are certainly the easiest and safest form of cycling to get to grips with. you don't have to worry about sharing the roads with other motorized road users and they represent a much easier event to marshal for the organisers. Racer and PX staffer James Vickers says, "There is nothing more exhilarating than your first race. Mine felt like the World Championships! I had not turned a pedal and my heart rate was already 110 BPM! B.C. 4th Cat races are crazy too, everyone is a beginner - It's like sticking 50 guys in F1 race cars on a closed track, telling them to hammer it and then expecting no crashes... It's a right of passage". Find out where your local club is and start riding with them on the weekend. Get fit, learn the ropes on the road then enter your first event. Former International rider and multiple winner of the Tour of The Peak Mark Lovatt describes his initial experience with racing like this, "Turn up, ride hard, get dropped, train harder and try again." In truth it's the same for everyone, we've all gotta start somewhere, and in cases, that's from the back. Perseverance will get you a long way though and there's always plenty of great advice and camaraderie to be had riding and racing with your local club. If you're looking for a serious road bike that will take you places then EC130-E Aero Road Bike is our multi-award and grouptest winning road race bike, it's also Cycling Weekly's Aero Road Bike of The Year 2017. For more info on road cycling and racing go the British Cycling website. Time trials fall into two groups, individual time trials, ITT, which is just you against the clock and TTT, team time trials, where you ride as part of a multi-man team. In ITT you aren't usually allowed to draft other competitors, ie you must stay a specified distance behind the cyclist in front of you so as not to benefit from them punching a hole through the wind for you. In TTT events drafting is legal and the major way in which team riders benefit from each other. TT racing is all about being able to ride on your aerobic limit for as long as possible and then smashing the last few miles out anaerobically so that performance begins to dip just as cross the line. In team races, tactics take over. In most team events one or more riders can be dropped, so they can expend all their energy, going deep into the red, to catapult the rest of the team to a better result. In individual events it's just you against the clock, watching the power meter and riding to heart rate. Time trailing in generally thought of as being one of the purest forms of racing, just you and a bike against the clock. 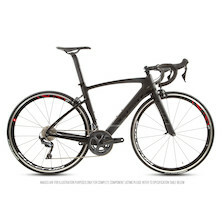 You can race a TT on any bike, you don't need a fancy aero bike to get started but if you want one we sell some of the best value for money and highest performing aero bikes that you can ride. The hill climb is essentially just a time trial with added gravity thrown in for good measure. The Hill Climb pits rider against rider in a measured burst of lung busting pure aggression that owes as much to track sprinting as it does to time trialing. For some, Hill Climbs are the ultimate expression of cycling competition, they represent a purity of competition that exists in few other sports and the added bonus is that spectators get to enjoy the spectacle as well. 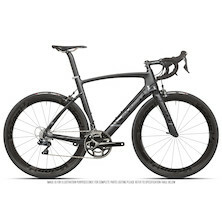 If you want to take part in Hill Climbs you could go the whole hog and build an ultra-lightweight race machine where you've trimmed every spare gramme of weight from the bike leaving only the bare minimum of controls, brakes and contact points. Dispense with the derailleur, replace those heavy brake cable outers with poly-pipe, tear the cover off the saddle and think about how much you really need that bar tape. In the UK most Hill Climb competitions are limited by the length of our decent climbs, typical events vary from 90-second sprints to a few minutes. There are longer climbs available but for maximum suffer-fest, it seems like the shorter steeper climbs are in favour. To stand a chance you'll need to be as fit as a butchers dog, a great road cyclist and then you'll need to starve yourself until you look like Christian Bale in the Machinist! Ok maybe not, you can compete at any level and still have fun and we encourage to give it a go, there's no easier cycling discipline to try, after all, you can be back in your car five minutes after you started (if you park at the top). If you're interested in pitting yourself against the toughest hills and the toughest hill climbers then you'll need a lightweight frame and our lightest currently in the sub 800 gram Viner Maxima 4.0. This is a seriously lightweight frameset that's also built to last and would make the perfect foundation for a hillclimb bike. This is the type of road cycling everyone recognises, multi-stage races. Varying from a long weekend to three week Grand Tours, stage races are where professional cyclists pit themselves against each other in the quest for international glory and fame. If you're just starting out as a junior club cyclist this is the dream, and it's still a dream for most of us when we're in our forties facing a desk five days a week but still living the dream on the weekends. Stage races are really the environment of the professional cyclist. unless you've got a seriously understanding boss! If you think that's the kind of racing you aspire to then we've got the UCI stage winning Viner Mitus 0.6 bike in the line-up. 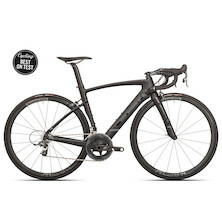 Raced by Team Idea 2010 this lightweight full-carbon thoroughbred is every piece the race bike, incredibly stiff, with pin-point handling and precise steering, yet capable of being ridden for hundreds of miles day after day. Where racing meets endurance cycling, the Ultramarathon event takes many forms, from single-day to multi-day events, distance based or timed the Ultramarathon event comes in many flavours. If speed isn't your forte, maybe you have a huge diesel truck of an engine and the ability to soak up mile after mile of punishment. If so then maybe the Ultramarathon is the race event for you. Ultramarathon events are affiliated with the Ultra Marathon Cycling Association UMCA, rather than the UCI so they tend not to be well organised at a local level. Factor in the number of people willing to ride hundreds /thousands of miles in a few days on a bike and one see why this type of racing isn't so popular at a local level. However, if this lights your candle then the two big events are the Race Across America, RAAM, and the Race Across Europe, RACE. If you fancy starting off small, then here are all the UK cycling events this year that meet the 100 mile+ minimum criteria.